Young sailors competing at the 2016 Oman National Sailing Championships have been warmly welcomed at Oman Sail’s Sailing School in Sur where the championships are being staged for the third time as they reach the halfway point of the competition. 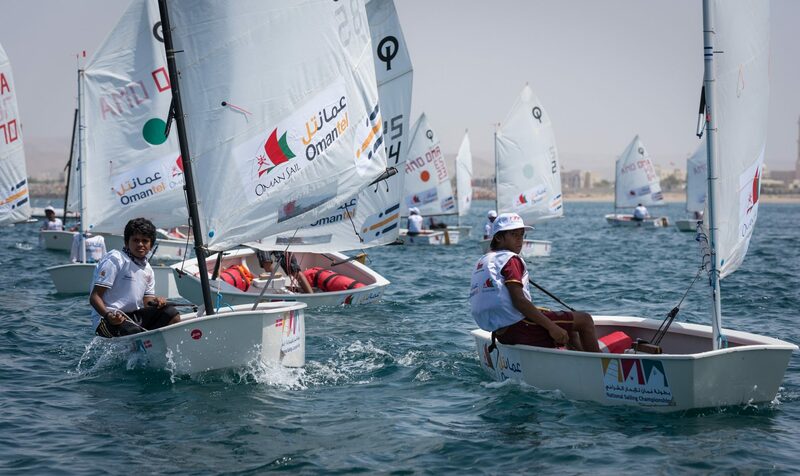 Around 65 talented Omani youngsters from the Omantel Youth Sailing Programme have had to contend with a range of weather conditions since they arrived in Sur for the start of an eight-day challenge, which kicked off with a three-day training camp before the National Championships got underway. 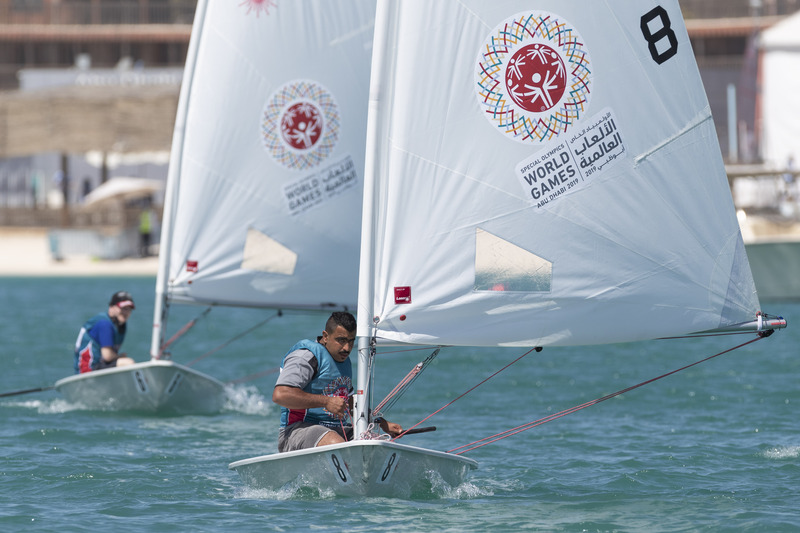 The training programme, expertly devised by Youth Programme management and the Sur Sailing School, was provided for both sailors and coaches and spanned every element of competition from boat handling and tactics to how to conduct a protest after receiving a penalty. With this information and knowledge, they headed straight to the race track to start their campaigns to become the new national champion for 2016 in the Laser 4.7s, Optimist and Techno 293 windsurfing classes. 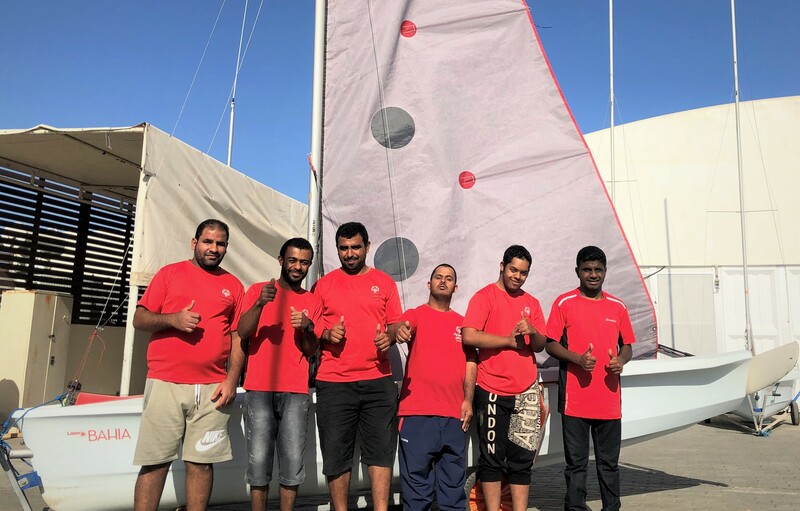 The sailors aged between 10 and 17, are representing Oman Sail’s four sailing schools at Al Mouj, Bandar Al Rowdhar, Mussannah and Sur, and as well as the individual championship titles are also competing for Oman’s leading sailing school crown, which is fast becoming one of the most sought after trophies in youth sport. 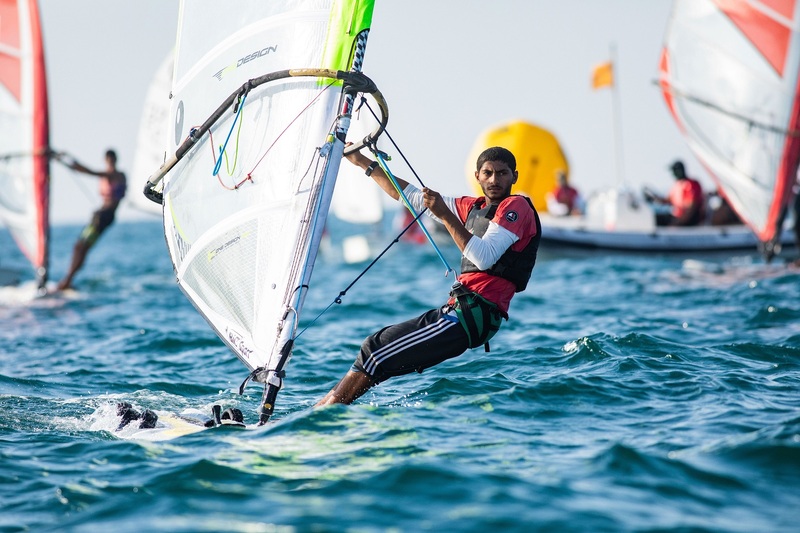 The breeze has varied from zero to 15 knots and from steady to shifty which has proved a massive test for the youngsters according to Mohsin Al Busaidi, Oman Sail Youth Manager. “We are only into our second day but the conditions have been very difficult and both the sailors and coaches have found it hard to adjust. But we welcome that because their training development will be all the better for it and we expect a dramatic improvement in performances. 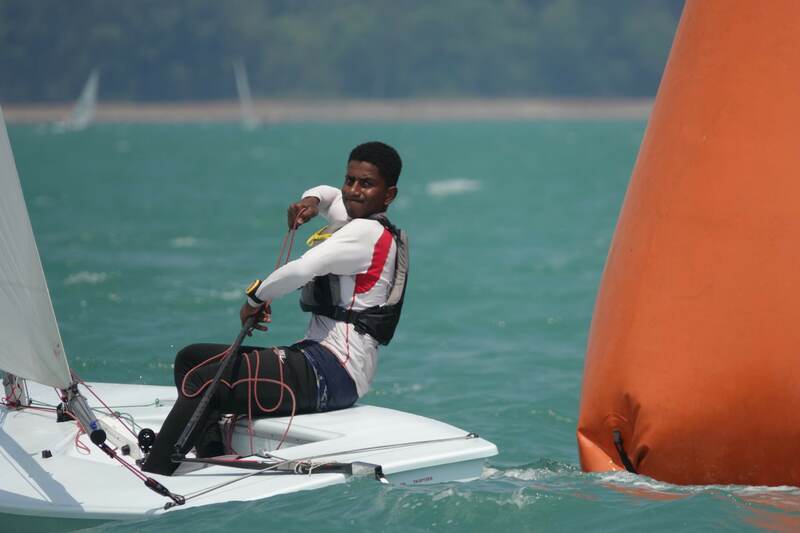 Competitors in the Laser 4.7 class are young sailors who have graduated from the grass roots Optimist class and their progress was encouraging, Al Busaidi added. There was also praise for the race committee who have organized racing in an excellent professional way and for the officials at the Sur Sailing School. Racing continues until Thursday August 18 when the new Laser 4.7, Optimist and Techno 293 National Champions will be crowned.